This action figure is great. Is presents a very accurate likeness of Megatron. One thing to be aware of, however, is that the action figure is delicate. This is not the result of quality control issues. This is the result of the action figure's complex transformation scheme. Um, I love this figure. I've never transformed him, but it is really beautiful. (Sure Megs is twisting hearing this description). 1) No Cosmic rust. 2) No Skinny legs. 3) Heavy, die cast parts included. 4) Really an original Masterpiece. *** I think it DE-STRRRRROYS not so Mighty-Tron who looks like he has a pole stuck up his @$$. I do think that MAKE TOYS - MTRM-08 - DESPOTRON could be a contender for the crown though. I will wait and see. While no transformer is perfect, I feel X-transbots has done a really good job in bringing this G1 leader to life! I think the things that most people Knock this figure for are due to the alt mode and not the engineering. Had the alt mode been something more symmetrical, It wouldn't have been so difficult. But then again, when was megatron simple or easy? 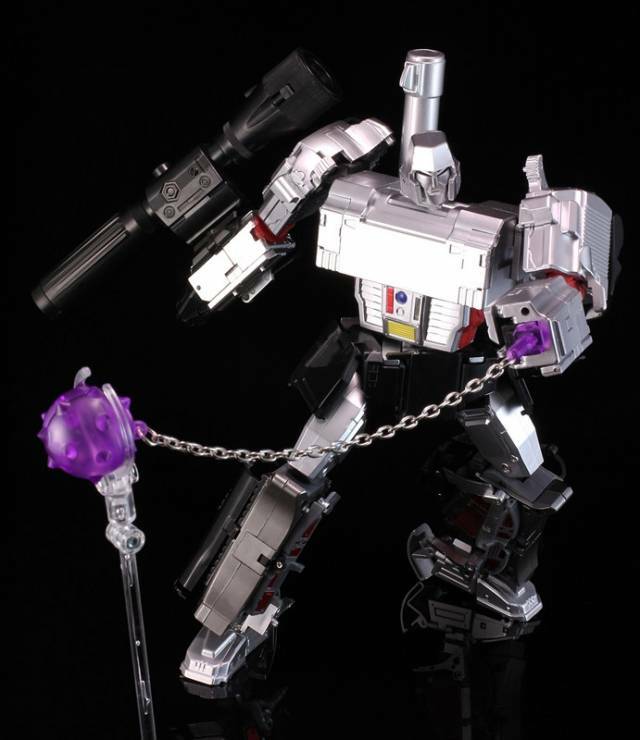 This is the BEST Megatron to date! With the expense of this figure one might think they would do some quality control. Instead, my delivery today left me surprised with two right hands. The figure is a beautiful contrast to MP05 and is sized perfect for MP10, which is exactly what I wanted. I just hope we can rectify the hand issue. Terrible as a toy but excellent as a display figure. 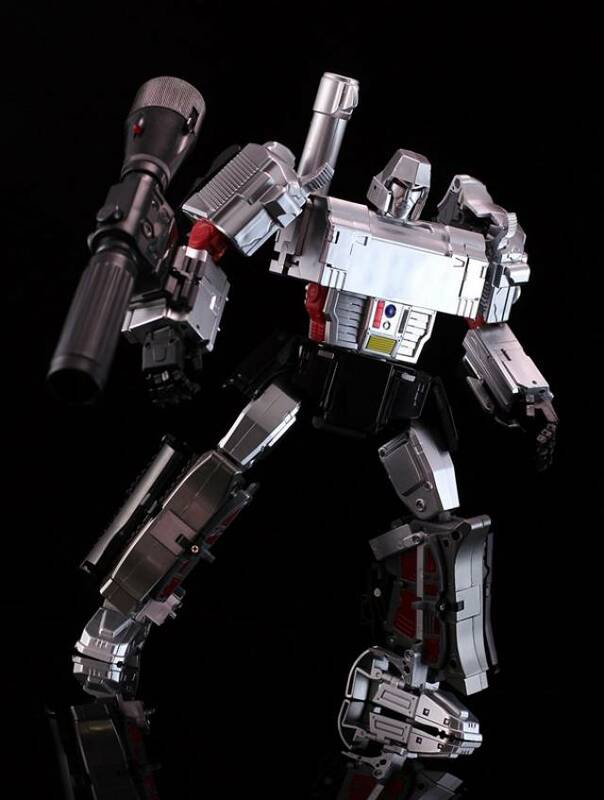 This is currently the definitive masterpiece G1 Megatron. I thought I was never going to get this figure and when i finally had the money for it, it was an easy purchase. I have to say, this figure is amazing. I so far haven't had any QC issues that been going around. The original shoulders are fine, hips peg in fine. I can move the arm with the cannon and any position and it stays there. Paint is perfect, no flaws. Tons of accessories. Best representation of The leader of the Decepticons. One issue i did have was it did not come with batteries. All of the others figures, that i have purchased came with batteries already. Not a big issue, but would of been nice. Other than that, i would totally recommend getting this figure. All Hail Megatron! with that being said i had heard of the numerous issues it had and held off for the 2nd production run. Visually, this figure hits all the marks right on the head, the paint is superb, the details, face sculpt, proportions, everything is on point. Kudos to Xtransbots. However, on mine, i opened him and immediately had issues with the left hip popping out, the left hand is loose at the wrist swivel, the obvious shoulder issue, and on mine the piece on his back that is moved out of the way to move the arm and shoulder assembly simply popped off. this is very frustrating due to the price of the figure and the amount of time i waited to get him. i'm hoping to hear back from TFsource soon on the matter. Definite 5 star toy, if it werent for the QC issues. Got this figure in November and finally got around to transforming him on Jan 30. Some reviews had stated the transformation was fragile and hard. While it was a little complex here and there, i found it to be pretty smooth. Just watch some youtube videos and you'll be good. There's maybe two pieces that seem delicate, but don't feel like there going to break unless you really start being forceful. Just take your time. Other than that this figure is great. No QC issues for me and paint is good. 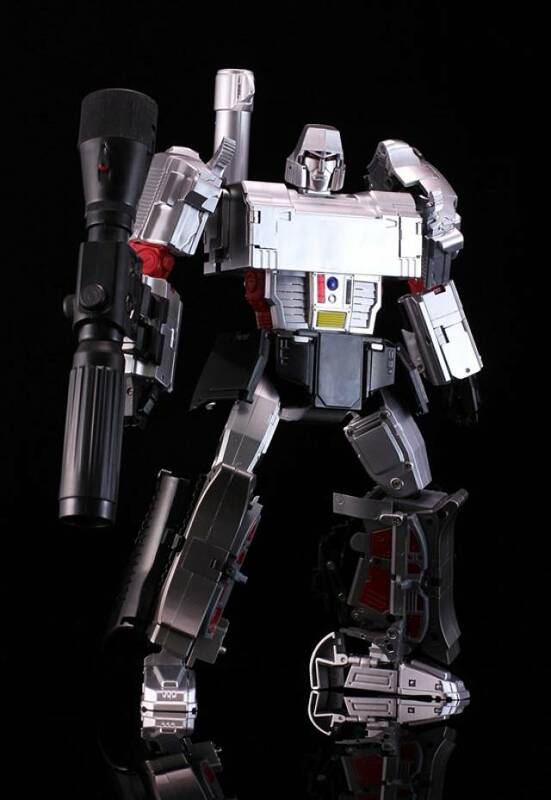 Really looks like G1 Megatron. Would recommend. Best MP Scale Megs By Far!!! 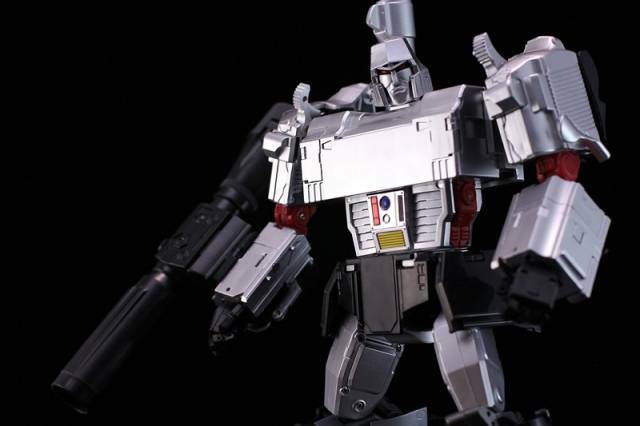 The Best G1 Megatron EVER! This is a figure that does not disappoint! 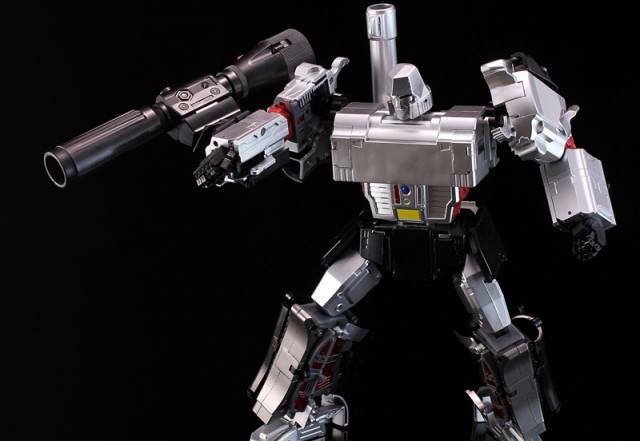 A solid gen 1 Megatron figure that puts the Takara/Hasbro masterpiece version to Shame! The proportions are all perfect, the hands, fingers, the legs are stout and solid. There are some dangly accoutrements on the legs that can be a bit annoying, but an easy thing to overlook. This piece is beautiful! Visually perfect for G1 fans and fits perfectly with the masterpiece series. 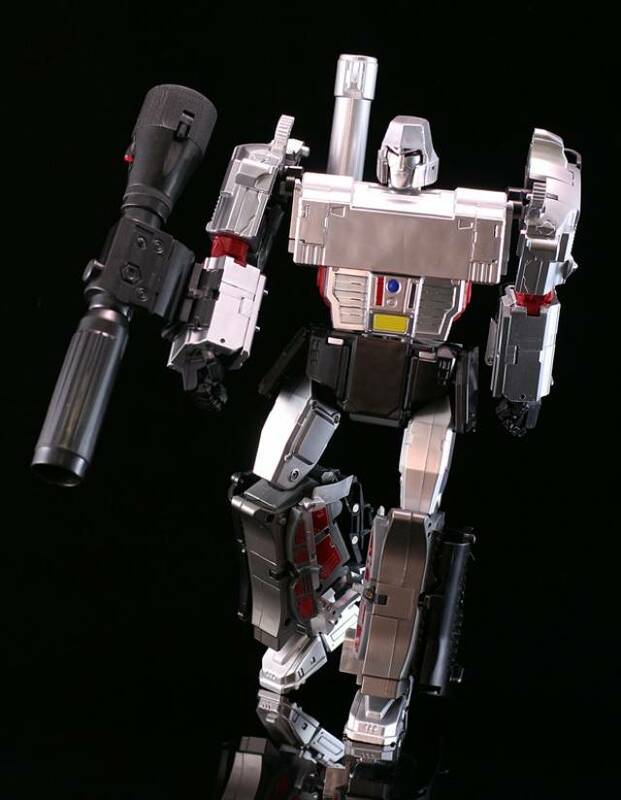 A huge improvement over the official masterpiece Megatron. However the quality of the figure itself is lacking. I got one that broke in half almost instantly when he arrived. The replacement's shoulders are a bit loose and one of the hips wouldn't connect. I actually got a replacement hip sent to me and it still doesn't connect very well. And I was told this is a common problem with this piece. So the figure is ok for display purposes but overall seems kind of brittle. TFSource was awesome to deal with through the trials I had for this figure. They aren't to blame for manufacturing problems but were still very accomidating. the detail and articulation is good. tansformation is nice. displaying with MP10 looks really great. What can I say about X-Transbots Appolyon? 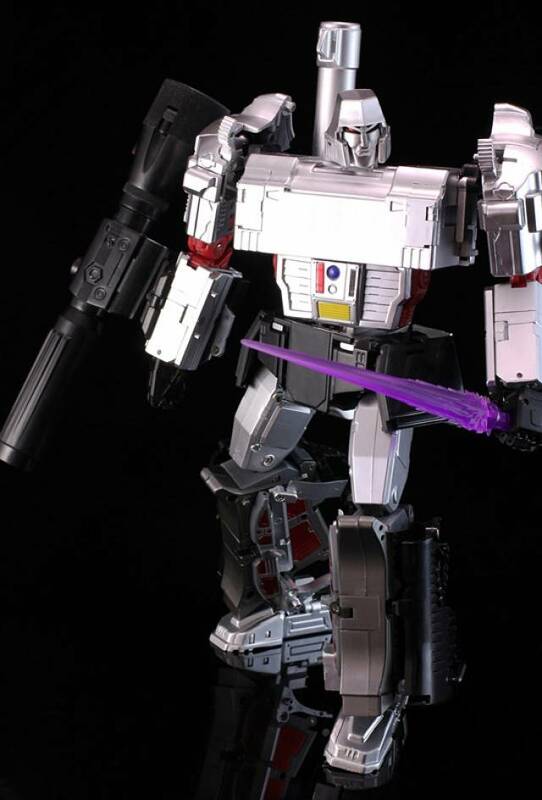 Despite the QC issues that we have, it's an awesome representation of our Decepticon leader Megatron. With Appolyon standing next to my MP-10 Optimus Prime, it brings back memories of when I was a child & stopped everything to see these guys battle it out. I'm pleased with this figure & considering those who own the MP-5 Megatron, this is a good figure to have, until some nails those legs right. First the Pros: Best "Megatron" ever. Menacing stance, Cartoon accurate, well painted, poseable, bells and whistles and accessories galore. Everything a Bot of this price point should be. Next, the Cons: Even before I opened it the outer sleeve was very scuffed up, the inner clamshells were cracked, yellowed, squished, and inserted so haphazardly that the windows were partially torn off from the inside. On Apollyon himself a lot of the black plastic on the waist area was very scuffed up and scratched, certain panels are looser than others, and of course the Shoulders are loose right out of the box. However X-Transbots does include a tighter replacement set for you to install if you choose. I would go the floor finish on the original set to tighten them up. The BIGGEST Sacrifice that I have had to make is the same route a lot of other people are going: I am NEVER transforming him into Gun Mode. Say what you want but I bought this for Bot Mode. 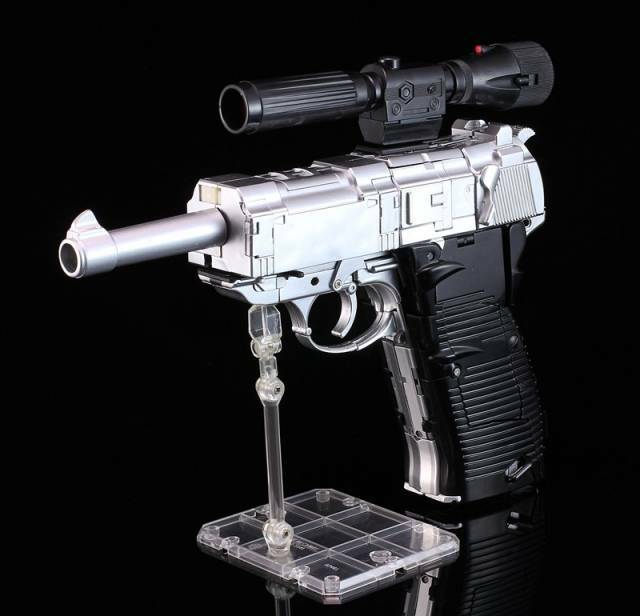 If you want the best looking Transforming Gun, go with MP-05. 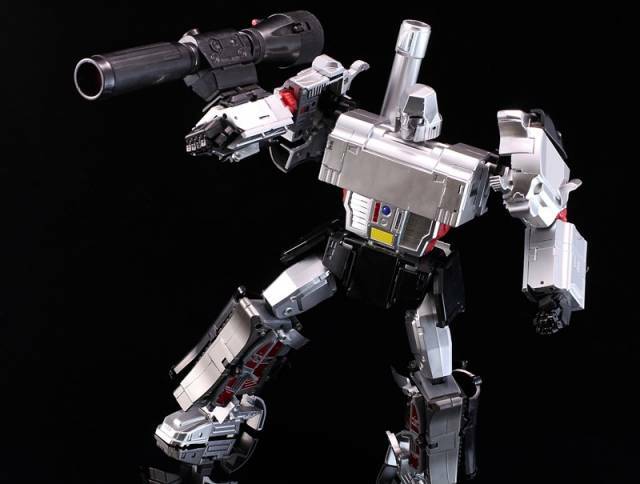 If you want the best looking Megatron, go with X-Transbots Apollyon. Take a chance on the 2nd Run, you might not be disappointed at all. Pros: This design is definitely more cartoon accurate and is in scale with the MP10 Optimus. Looks great and comes with a lot of extras. Legs are sturdy with ratcheting joints without the "play" that haunted the Takara model. This one can actually be posed. Cons: QC is a bit disappointing. The black parts in particular have some scuffs and surface scratches which makes it a little disappointing for a collector. You can tell some the parts were probably kept in a large bin and just rummaged through during assembly. Hopefully they will get it right on the second run. Especially, if they are raising the price.